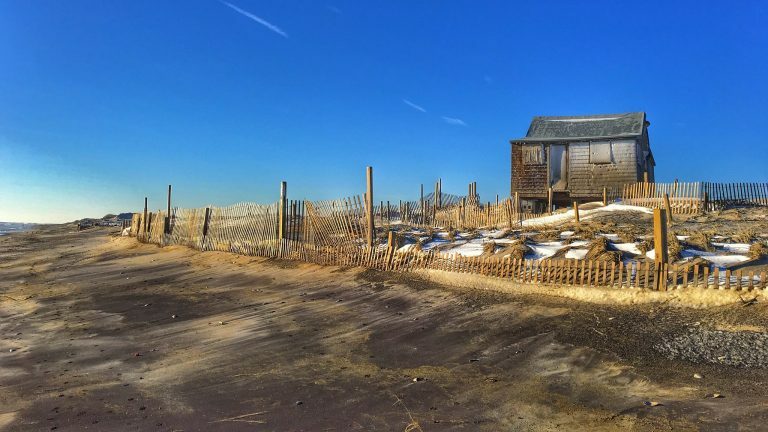 Judge's Shack along the Island Beach State Park oceanfront as seen yesterday morning by Kevin Knutsen. Island Beach State Park is open for visitors but remains closed for beach buggy pass-holders, the state announced. The park reopened for the public as scheduled at 6 a.m. yesterday. But Mobile Sport Fishing Vehicle access remains closed since entrances are blocked by wind-driven snow and sand, according to the Department of Environmental Protection.